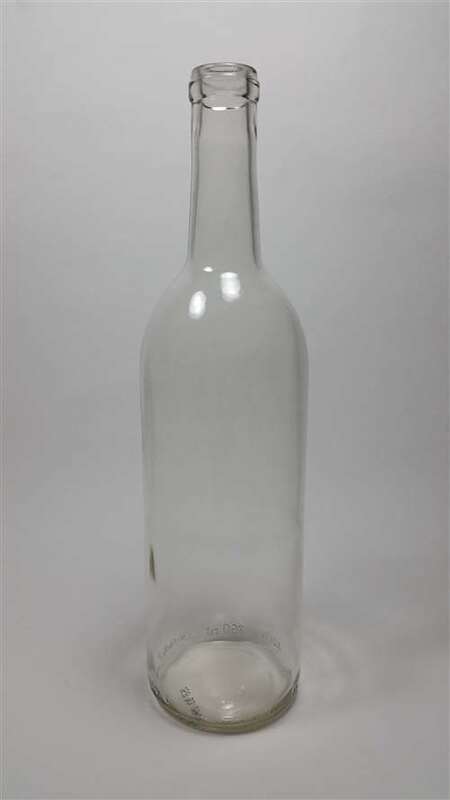 750ml clear Claret style wine bottle. Sold 12 per case. Standard cork finish.